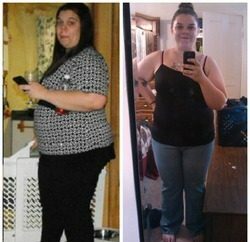 Weight Loss Before and After: I Am Down 102 Pounds And Still Going Strong! 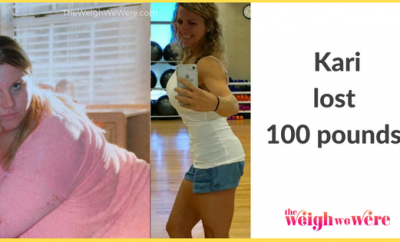 Having previously lost 70 pounds only to gain all of it plus some more back, Lexiboo didn’t let that deter her when she decided to tackle her weight woes almost 13 months ago. 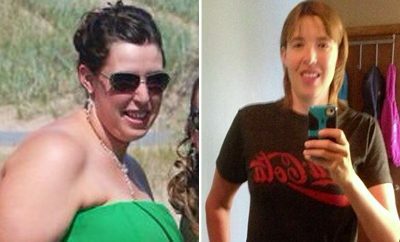 With the help of Calorie Count, she’s lost 102 pounds and is still going strong. 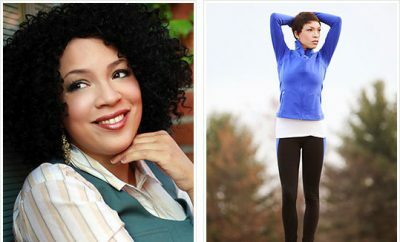 She shares the key components to taking the weight off in a healthy way with a unique form of exercise. The biggest reality check for me was when I went on a trip to visit some friends out of state. I couldn’t buckle my seatbelt on the plane and it was mortifying. I never thought I’d be too big for an airplane seatbelt. 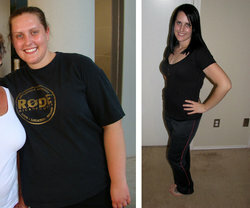 I have tried several diets in the past, including Atkins and other lose-weight-fast regimens. I lost 70 lbs on Atkins the first time around, but gained it back (and then some). I realized, after much failure with maintaining weight loss in the past, that it’s all about making a permanent lifestyle change. I had to remind myself along the way that this not a temporary thing. I cannot expect to get down to a healthy weight and stay there forever without putting in daily effort. It’s a daily task. Additionally, after about 8 months of dieting, I made the commitment to go vegetarian. It was a decision I had been toying with for years but put off out of apprehension. Fast Food Nation and the documentary Food Inc (among many others) were extremely eye-opening for me. Finally, I took up a fairly unorthodox form of exercise: pole dancing. I can’t put into words how fun and rewarding it is. It’s a phenomenal way to burn calories and build strength, plus you never run out of moves so it never gets boring. In this age there is still a fair bit of criticism behind pole dancing, but it’s steadily becoming a popular exercise offered at large fitness centers. Calorie Count’s tools were enormously helpful to me. Not only do I utilize the food database, but also the BMI tool, burn meter, weight log and food log. The progress charts and trends show me the mathematics behind my weight loss, which is really cool. I also read the daily newsletter every morning while I eat breakfast. It’s like a ritual now… Calorie Count has actually become a part of my daily life! The most challenging aspect this time around was giving up alcohol and high-calorie foods around friends and family, especially during the holidays. After doing this for over a year now, it’s becoming easier. I noticed results after losing the first 20 pounds or so, when it became obvious my jeans were hanging off me. It took about 10 more pounds before my family and co-workers really started to notice. I think my biggest feeling of success came when realized I had lost 80 lbs. That was the most weight I’d ever lost, and I hadn’t given up on losing more. I was excited to keep working at it. All I do to prevent relapse is think back to how miserable I was before. I had to shop at plus-size stores and trying on clothes was so miserable. So now I keep my fat pants at the back of my closet as a reminder. Another helpful tactic against relapse is finding low calorie, sugar-free alternatives to some of my favorite sweet treats (and I have a MAJOR sweet tooth). My life has changed in more ways than I could’ve ever imagined. When I was at my heaviest, the Texas summers just about killed me, but now it doesn’t feel so bad. My menstrual cycle is completely regular now, which it NEVER has been in the past. My joints feel healthier; I move around faster and have much better stamina. I look forward to clothes shopping, socializing with friends and cooking meals. It’s fantastic. Take photographs of your progress, date them and compare them to your weight log. Looking back, this is something I really wish I did! while eating healthy and exercising, I went through a 2-month plateau. After that, I lost 15 pounds. like a lot more food on a 9” plate than a 12” plate. Mind over matter! Find an exercise you LOVE. If you hate it, you won’t do it. I absolutely hate monotonous cardio routines, so I took up yoga and pole fitness. Problem solved! is just a marketing ploy. Study ingredient lists carefully, and read up on what is actually going into your food. Don’t leave it up to food manufacturers to decide what’s best for you.